Are you a down-to-earth, family-focused couple looking for a Maleny wedding videographer? I’ll capture what’s important to you in a totally candid, authentic way. the principal videographer at Your Wedding Story. I love making wedding films in Maleny! With the backdrop of the Glasshouse Mountains, the scenery is worldclass. And with insanely delicious local produce, guests are always thrilled to receive their dinner at a Maleny wedding! If you’re the kind of couple who want to capture the heartfelt love and joy between your family and friends on your wedding day minus the cheesy, lovey dovey footage that makes you cringe, I am the wedding videographer for you. 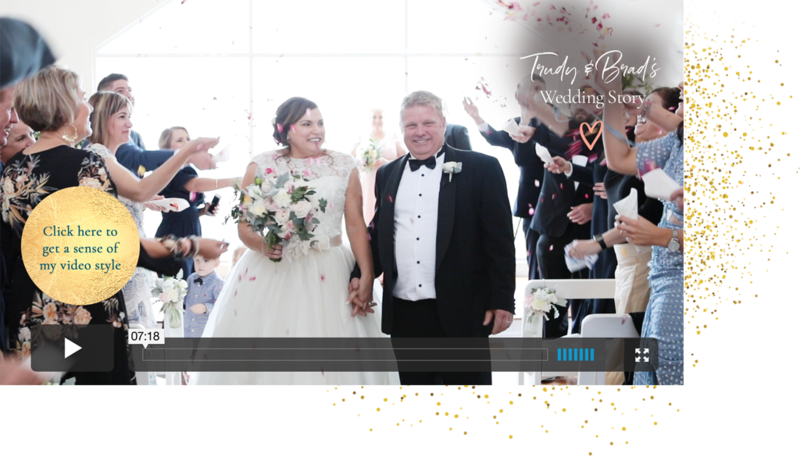 Recognised in the top three videographers for Queensland for two consecutive years by ABIA, I am incredibly passionate about not only making an amazing wedding video for you, but also doing everything in my power to make your day smoother so you can relax and be in the moment. I create candid videos with less posing and more of you being YOU. I really love my clients and always go above and beyond, resulting in consistently great reviews. I have a thorough process for getting to know what you want, and delivering just that. My high quality equipment and totally professional approach leaves nothing to chance. I create wedding films that tell a story that is true to who you are and what’s important to you. I first met Jacinta and Kendall as members of another bridal party. When it came time for these two to get hitched, I was so excited to be asked to capture their day on the Sunshine Coast – it felt like hanging out with old friends! And what a bonus that I got to witness the most awesome bouquet intercept by Jacinta’s hilarious sister. How divine is Yandina Station!